Here is not the place for the fine detail, but the ‘significant’ news that hit on my first day in Tuscaloosa, mentioned below, was that the giant ‘pubco’ (pub ownership company) that owns the Railway has decided that it is unwilling to stump up the cost of a refurbishment following the damage caused by the floods on 22nd/23rd June and 9th July. They want to sell the pub, but no one is particularly convinced that they have an interest in keeping the pub in the hands of someone who will, well, keep it as a pub and not convert it into something else. The last few years in the UK have, to say the least, not been kind to the pub trade. 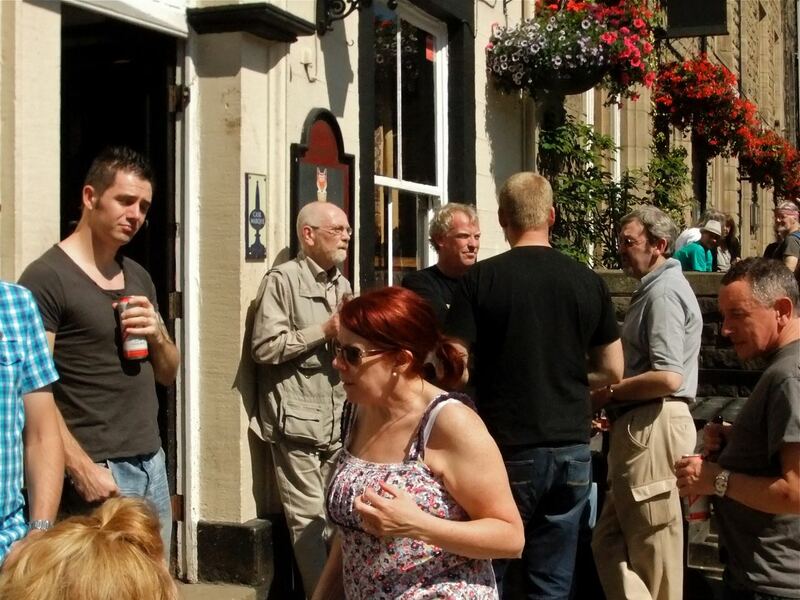 Well, we – the customers – want to keep it as a pub, so today we had a meeting there to discuss what we were going to do. It was a lovely sunny day and there was also a social aspect to it – no one wanted their last drink here to be that horrible 22nd June. But it shouldn’t have to be the last today, either. We’ll try not to make it the last.